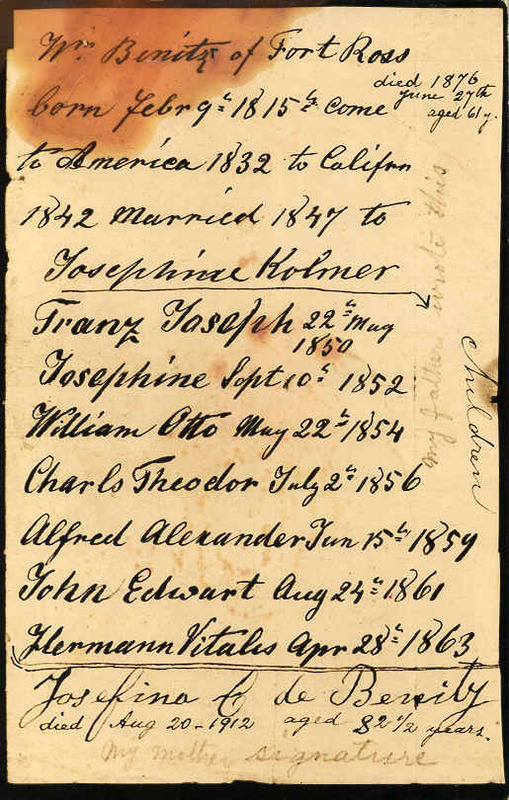 Birth, marriage, and death records of William and Josephine, and the only record, a list, with the names and dates of birth of their children that reached adulthood. 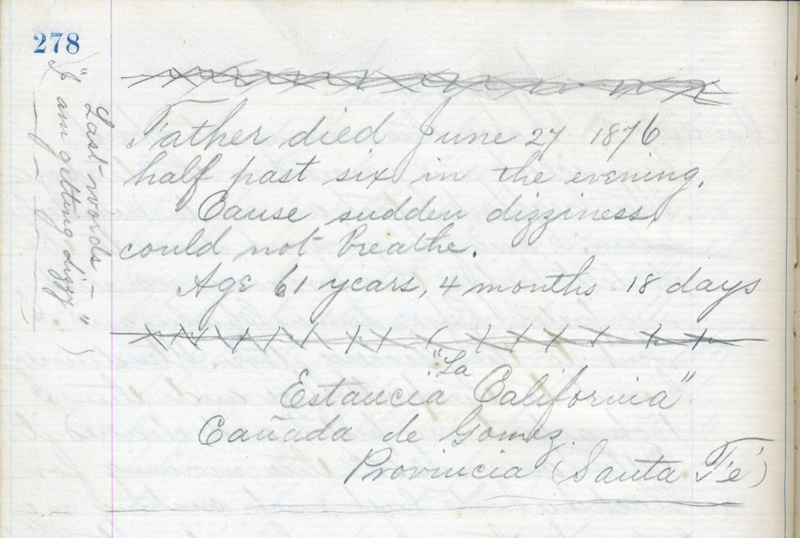 During the time of confusion while California was transfered from Mexico to the U.S., official acts of marriage (and resulting baptisms) were delayed. William & Josephine had wed informally the previous year. This is their formal marriage and is the third entry in the Sonoma County “Record of Marriages”. 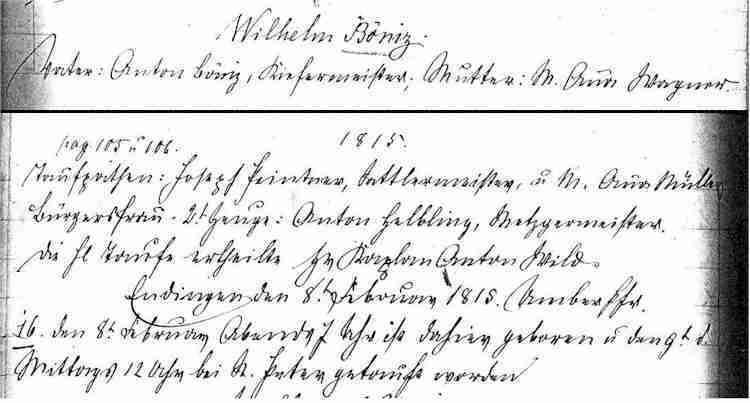 William signed as a witness to the first entry, the marriage of Hügal, one of his Rancho Herman partners. 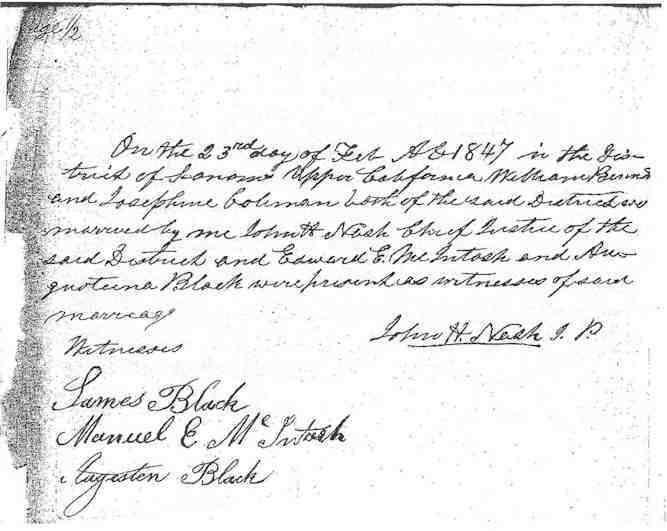 Witnesses James Black and Edward McIntosh were neighbors of Josephine’s father, Michael Kolmer, in Occidental, California. Per historian Lynn Rudy, the marriage ceremony most likely took place in Santa Rosa for John Nash was somewhat rotund and would not have travelled to Occidental, and certainly not remote Fort Ross. On the 23rd. day of Feb AD 1847 in the District of Sonoma Upper California William Bennet and Josephine Coleman both of the said District were married by me John Nash Chief Justice of the said District and Edward E McIntosh and Augustuna Black were present as witnesses of said marriage John H. Nash J.P.
William and Josephine had ten children, all born at Fort Ross, California. 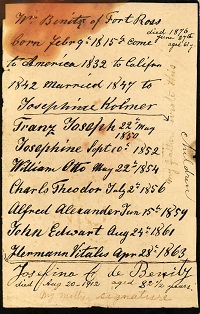 Their children’s births (and deaths) were not entered in any official record (county, state, or otherwise) and the only record we have of their names and birth dates is this list made by William. The list is incomplete, for William did not include the unlucky first three who died as infants. died 1876 June 27th aged 61 y.
died Aug 20 - 1912 aged 82½ years. Died June 27, 1876 - 6:30 p.m.
Ea. “La California”, Cañada de Gómez, Santa Fé, Arg.